Sweden can be really welcome country for soul and jazz singers, sure if artist is really unique and talented. This year young Jasmine Kara has become huge sensation breaking into charts, all over country's media and the most different public event. And probably now we get new sensation of next year and her name is Dolly Dolores. Dolly is relatively fresh artist for most of the audience, in 18 she has started to work as backing artist for such well-known musicians like Billy Paul, The Ark, Pauline and Tingsek, has become supporting act of Veronica Maggio and now she's preparing her album that's intended to be released this Spring. 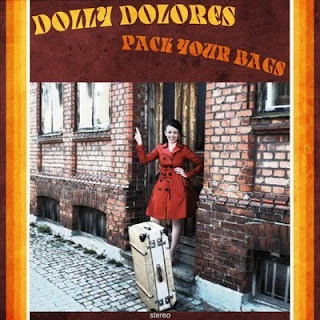 First step of Dolly's solo-career is debut single "Pack Your Bags" - terrific swinging soul-track with great attitude, Dolly's special husky vocal and loads of personality. Below you can check also another Dolly's jazzy track "Mess It Up" in more outbursting tempo but still very stylish and very personal. Glad that you like her Paul. She's so nice and so special, one of those artists with stuff I'm really looking forward this year. As we saw her in "Ta Min Hand" I guess she's in right company and has a good reputation.